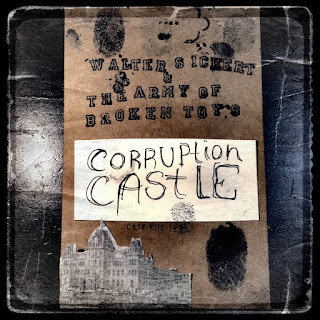 It's been almost five months since we've brought you any news of Walter Sickert & The Army of Broken Toys, which might be some kind of record for us. Luckily they've just released Corruption Castle, their entry for the RPM Challenge 2016, where bands attempt to produce an entire album in 28 days. Corruption Castle is... different. It's still a Walter Sickert and The Army of Broken Toys album, so it's weird and creepy, of course. This one is just much more minimalistic than we're used to hearing from the group. None of the songs really have the bombastic quality we expect in at least a few per album, like "Devil's in the Details" or "28 Seeds." Songs like "Wormhole Slinging" are very stripped down with a bare minimum of instrumentation. This gives the entire album a more intimate and creepy feeling. It feels like more of a Walter Sickert solo album than an Army of Broken Toys album. The average Walter Sickert & The Army of Broken Toys album feels like a wild mass hallucination affecting everyone around you. Corruption Castle is more like one man's creepy dreams as he begins to drift off to sleep. 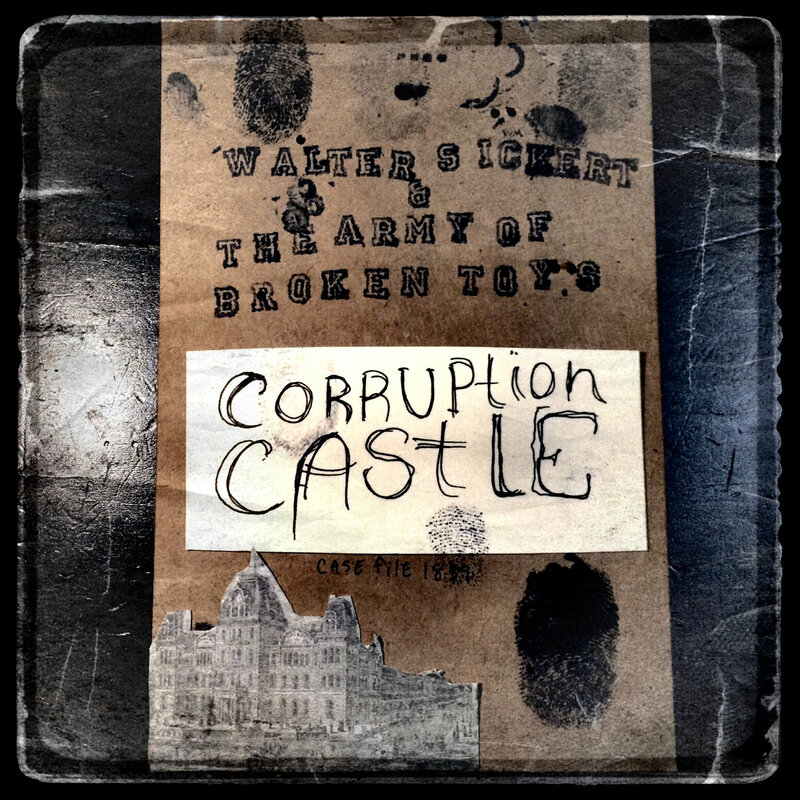 Corruption Castle is available for free on the band's Bandcamp. For more information, please head over to the band's official website. If you're in the New Haven, CT area, they're playing May 20 at Cafe Nine.